1st Malaysian to climb Mt.Everest is a JOHANNIAN..!! M. Magendran and N. Mohanadas became national heroes when they reached the 8,848m summit of Mt. Everest on May 23, 1997, after braving thick snow, strong winds and freezing temperatures since March 1. The duo, members of the Malaysian Mountaineering Association, were part of a 20-member Malaysian team in this Everest expedition. 23 May 1997, two national heroes – M. Magendran and N. Mohandas successfully overcame Mount Everest which stands at 8,848 meters high, the tallest mountain in the world. 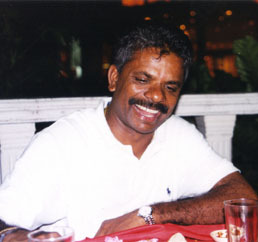 M. Magendran is the first Malaysian to climb Mount Everest, located in the Himalayas, and was followed 15 minutes later by Mohandas Nagappan. The two heroes were credited with ensuring that the Malaysian Flag stood proud at the mountain’s peak. Their efforts to conquer the mountain received daily coverage for 55 days due to the hard work of nine members of RTM’s Everest ’97 project. Datuk N. Mohandas, one of the first two Malaysians to reach the top of Mount Everest. 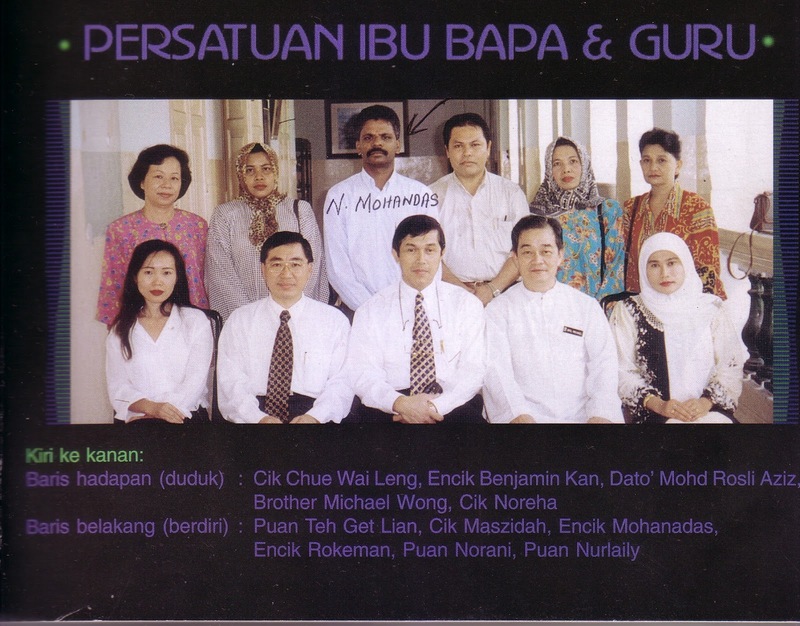 IT MAY have happened 14 years ago but Datuk N. Mohandas’ achievement is still unforgettable. In May 1997, he and teacher M. Magendran became the first two Malaysians to climb to the peak of the highest mountain in the world, Mount Everest. “If possible, I would like to climb Mt Everest again,” says Mohandas, who is an account manager for commercial fuels at Shell Malaysia Trading Sdn Bhd, a company he has been with for 32 years. But now that he is 49, would he have the stamina to scale the mighty Everest again? “I believe I can still do it,” insists Mohandas, who was 35 when he first carried out his feat. “Many people older than me have climbed the mountain successfully. I want to be an inspiration to others, to show that age should not stop anyone from pursuing their dreams,” says this avid climber who is considered one of our country’s heroes. And in recognition of his accomplishment, over the past 12 months, he has been conferred two Datukship – the first from Penang state, and the second, from the federal government which he will be receiving from the King at a date yet to be determined – though both honours came about so many years later. Asked if he felt disappointed that he had to wait so long for this honour, Mohandas humbly replies: “For me, mountain climbing is a hobby and I don’t expect anything in return. He points out that in order to complete an arduous mission like scaling Mt Everest, getting emotionally and physically fit is not enough – one must have the financial resources as well. He is hoping that some organisations or corporations would come forward to sponsor his second expedition up the world’s highest mountain which stands at 8,848 metres above sea level. Mohandas had to make a lot of sacrifices when he set out to conquer the mountain in 1997. “I had to prepare myself for three years before climbing the mountain. I spent all my free time training and didn’t have much time for my wife and three sons. To prepare for his monumental climb, Mohandas scaled a host of local peaks such as Gunung Tahan and Mt Kinabalu. A year before climbing Mt Everest, he scaled Mount Aspire in New Zealand. Of course, he had heard and read of people who lost their lives while climbing the treacherous Everest. But that did not break his spirit in his endeavour to make a name for his beloved country. Mohandas is also grateful that his employer, Shell MalaysiaTrading, has supported his endeavours to a certain extent by sponsoring some of his climbing equipment. He was also promoted on his return from his successful climb. Mohandas also says he is concerned that youths these days prefer to spend most of their time in front of the computer or fiddle with their handphones rather than participate in outdoor activities. “There is a dire need for us to inculcate the love for outdoor activities and physical fitness among our youths,” he says, adding that there is no need to enrol in expensive gyms to get some exercise. Looking back now, Mohandas is proud of what he has achieved. He feels that his successful attempt up Mt Everest had inspired other Malaysians to break records in different arenas. “I believe we (Magendran and him) were among the pioneers of the Malaysia Boleh spirit,” he adds. This entry was tagged 1997, 1Malaysia, 1st Malaysian to climb Mt.Everest, 8, 848m summit of Mt. Everest on May 23, camelia camy, Datuk N. Mohandas, ecofren, ecofren camelia, Gunung Tahan, Gunung Tahan and Mt Kinabalu., johannian, klcc, kuala lumpur city centre, love camelia, M. Magendran, Malaysia Boleh, malaysia lah, Mt Kinabalu, N. Mohanadas, Shell MalaysiaTrading, the malaysia book of records. Bookmark the permalink.